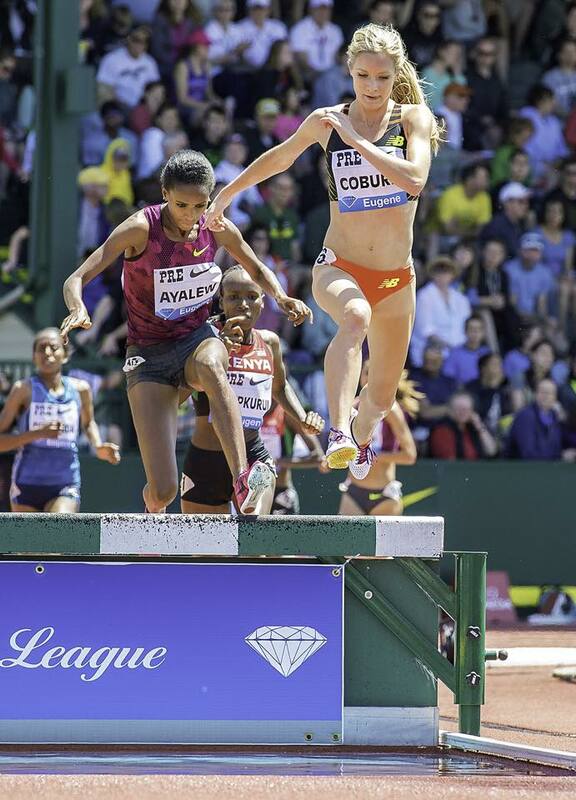 As a steeplechase runner in college and beyond, I have tracked the careers of America’s top steeplers including Evan Jagr on the men’s side as well as Emma Coburn, one of the top women steeplechasers in America and the world. 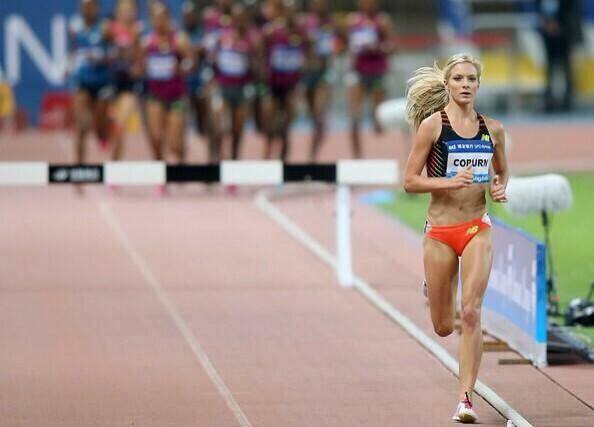 The Colorado resident has a steeplechase PR of 9:11.42. That’s fast, especially considering she’s covering 3000 meters over 35 barriers and 7 water jumps. 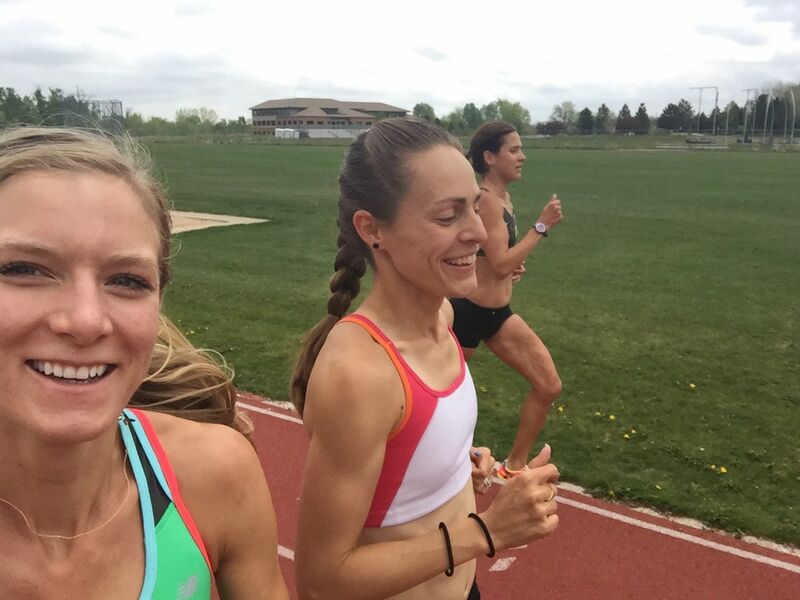 We Run and Ride wrote to Emma Coburn through Facebook, where she has 22,000+ likes on her fan page, to ask a series of questions about her career and what advice she can offer to other runners. The interview is shared here with you. We hope you enjoy it. WRAR: When women runners reach out to you with questions, what are some of the things they most want to know about you and your training/racing? A lot of the questions are about injury prevention, diet and weight. We all have different bodies. We all respond differently to certain ways of eating. So I try not to get too specific on the diet and weight questions. I eat a balanced diet with lots of fruits, vegetables, and whole grains. I eat a lot of red meat to keep up iron levels and have dessert or something sweet almost daily. It’s all about balance and not feeling restricted. For the injury prevention questions I usually say that it’s about taking care of all the little things. Adequate sleep, stretching after runs, foam rolling, massage work, etc. What advice might you have for young women distance runners coming through the sport and the changes they will encounter from puberty through teen through college and into adult years? I had a pretty smooth transition from middle school/high school to college. It’s hard for me to give advice since I never had a tough transition myself. The only advice I can give is to not be too hard on yourself. Work hard, but make sure that you are happy and feeling fulfilled in whatever sport you are doing. What are some the most important lessons nor examples of what you’ve learned from your coaches? My high school coach, Trent Sanderson, taught me to think that anything is possible. He was the one who first believed I was capable of running in college and made it possible for me. My college coaches, who are now my coaches as a professional, Mark Wetmore and Heather Burroughs, taught me how to handle training and racing at the next level. Coach Wetmore and Coach Burroughs taught me to trust my fitness and to stay calm and cool in race scenarios. At what age did you cross the bridge from realizing you had some talent to understanding that talent needed to be developed? My last two years of high school I became exposed to national caliber athletes and discovered how much work it takes to get to the next level. Have you ever run an open 400M IM hurdles race? No. I did the 400 a few times in high school but nothing fast. I ran it in training shoes. The 400 hurdles looks like one of the most painful events on the track so I’m happy that I’ve never had to do it! How often do you work on hurdling technique? Who is your coach in that respect? Coach Wetmore and Coach Burroughs oversee my hurdling. Early in my steeple career we would practice technique a few times a week but now that I’ve become more and more comfortable, we do it less. Did you ever do any field events in high school track, like long jump or triple jump? I did the high jump my freshman year. I qualified for State and jumped 5’1”. Not too bad for a 14 year old I suppose! Who and what were some of your early inspirations in running? I was never a big fan of running, I didn’t know who the big players were growing up. My last few years of high school I started learning more about running and started paying more attention to the Colorado team and the good runners produced there: the Gouchers, Dathan Ritzenhein, the Slatterys, Jenny (Barringer) Simpson, Billy Nelson. How has your view of distance running changed or evolved as you’ve risen in the sport? I’ve learned how hard it is to stay healthy and to stay consistently good. I’ve had injury set me back before. I’ve seen great careers fizzle out for no real reason. Running is often unpredictable and can feel unfair at times when things don’t go your way. What are some of your techniques for dealing with pressures in competition; 1) leading up to the event, 2) race day prep and pressure 3) post race performance analysis? 1 & 2) I keep the focus on my own training and fitness, that calms my nerves usually. 3) I don’t dwell on bad races for too long. I’ll be upset in the moment, but the next day the focus shifts to the next race and on my training. If it’s a great race, I’ll celebrate in the moment but again, by the next day, it’s back to work and back to training hard. If there was one thing you might change about the sport of track & field right now, what would it be? I wish there was more transparency in the world of drug testing. 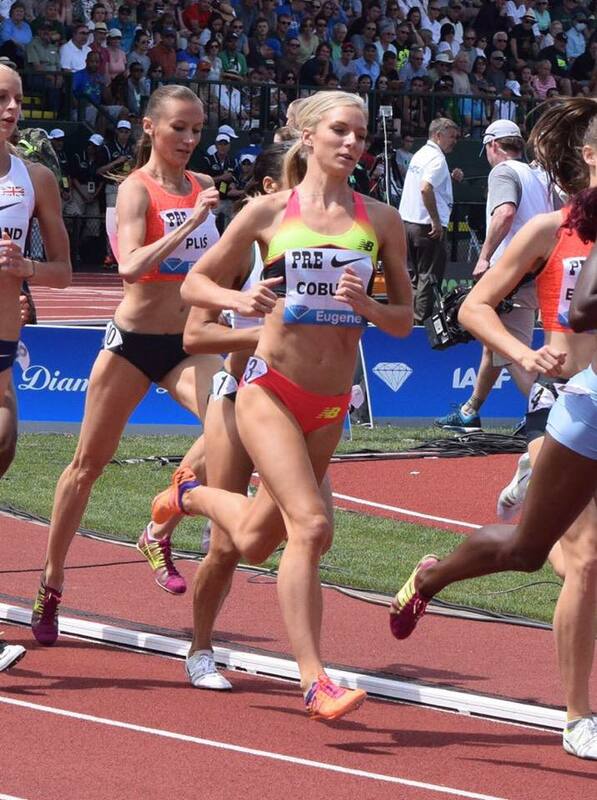 As a steeplechaser, there are additional stresses on your body that other runners don’t typically need to address. What kind of event-specific training do you do that might be helpful in a more general way to distance runners? Having strong hips and glutes helps. Lots of hip bridges and glut exercises! I think more and more, runners are developing smarter weight routines and incorporating more rehab exercises into their daily training, so it’s not just specific to the steeple. All runners can benefit from strong hips and glutes. Do you find that the commitment needed to excel in distance running puts stress on your relationships (family, personal) in any way? My family and friends are incredibly supportive and always are adding to my life as a runner, never making me feel burdened. If you are the type who has friends who give you grief for going to bed early instead of going out with them, maybe it’s time to reevaluate things. My family and friends do everything they can to make my running career easier. They are incredibly supportive. Again, my family and friends play a big role in that. They help me stay focused and dedicated to my training, but also serve as a nice break when I don’t feel like talking about running. Physically I live my life in training mode almost year round, but its nice to mentally give yourself a break and not always be thinking about running and training. My friends and family are great with that. And on that subject…is it different than you thought it might be in terms of becoming a sponsored or professional athlete? It isn’t different than I thought. I knew it would take a lot of work, some sacrifices, a lot of dedication and patience. And finally: Exactly how cute is your dog? 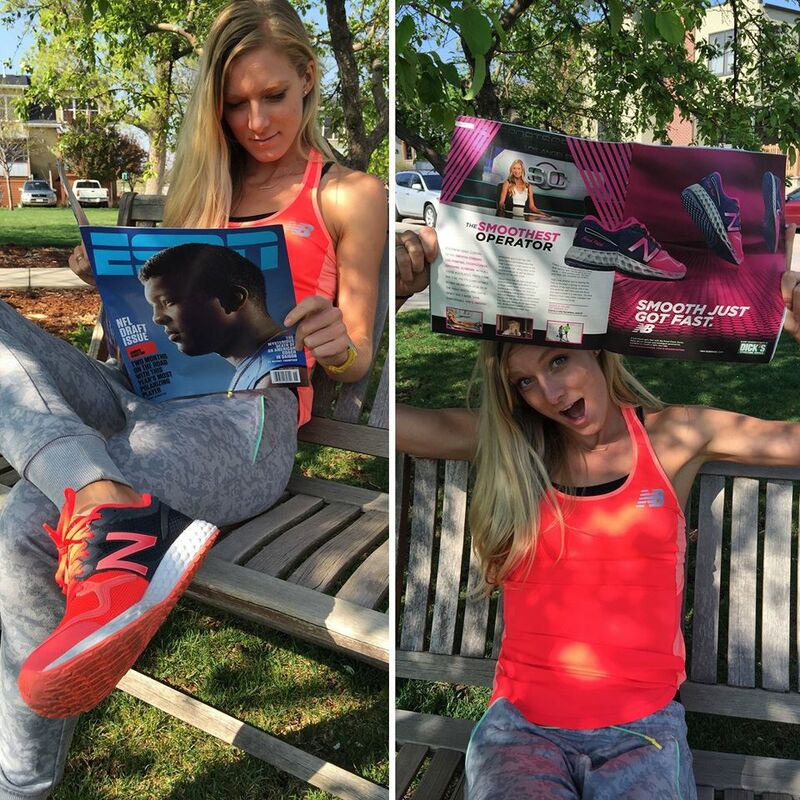 Thank you Emma Coburn! And best of luck in your training and racing. And P.S. Your dog really is cute. 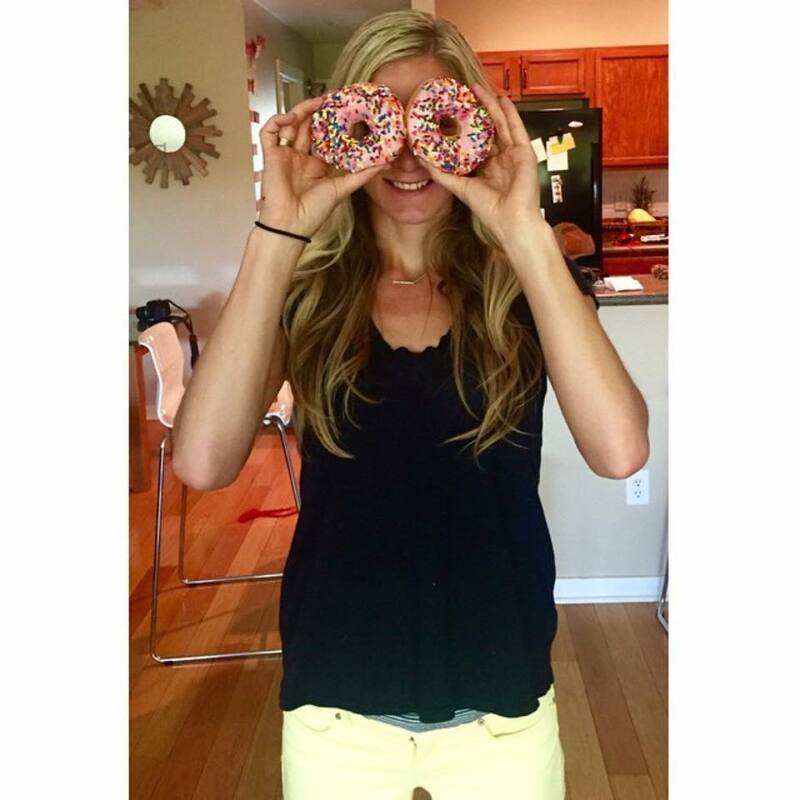 This entry was posted in Uncategorized and tagged Colorado track and field, diet and nutrition for runners, Emma Coburn, Evan Jagr, Jenny barringer simpson, steeplechase event, top female athletes, top women distance runners, women steeplechasers, women's steeplechase. Bookmark the permalink.